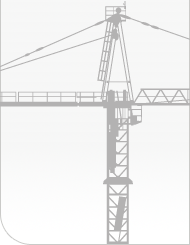 Krøll cranes live up to the highest manufacturing standards. They are durable, operator-friendly, safe and have low maintenance requirements. Our components are traceable back to original premium-quality manufacturers, ensuring that they can easily be replaced when necessary. The quality of our components assure good resistance to fractures under conditions of high loading and low temperatures. Quality steel mill-certified to European EN standards. High-quality components from suppliers represented worldwide. Protected: For safequarding, all components are fitted into housing of the highest quality. Fully enclosed motors - IP55 - ensure long lasting motor insulation. Easily identifiable: Cables and components are numbered or marked for easy identification, reducing maintenance time and costs. Efficient: Virtually all internal electrical installation is done using multi-plug connections which reduces erection time. The PLC-based control system and touch-screen monitor help operators do their job safely. Precision control: Stepless controls offer smooth velocity control of all movement giving the operator precise control. Along with a creeping speed, down to 0.5% of the maximum speed, these keep the operator in full control of all lifting operations. Ergonomics: The operator's cabin is fully insulated and has air-conditioner/heater to ensure operator comfort in all environments. Furthermore, the fully adjustable seat reduces operator fatigue for safer operation of the crane. Safety: Relevant operating information - such as load weight, hook position, trolley position and wind speed - is immediately transmitted to the touch-screen colour monitor in the cabin. Special slew control to remove oscillations in the jib and the load caused by the slewing torque. Using the stepless drive the operator can easily overcome wind load to ensure stable positioning of the load in strong winds. Our cranes are designed to last, ensuring maximum operation time and minimum downtime for service and maintenance. Rust protection: After welding the fabricated parts are given a three-part surface treatment including metallisation, ensuring a long lifetime with no rust problems and minimum maintenance. A good overview: All drives and components are monitored by the crane's PLC control system at all times and the self-diagnostic system informs the operator and maintenance personnel in plain text on how to rectify a problem. This reduces downtime. Precision control: Stepless controls offer smooth velocity control of all movement minimizing wear and tear of the mechanical components and ultimately reducing downtime and maintenance costs. Continuous research and development ensure that our products remain state-of-the-art, guaranteeing safe and reliable operation for any application in any environment. Green technology: No resistor box. In generator mode (lowering a load) the power is returned to the power supply. Low grid/gen-set load: Inverters are supplied from a common Active Front End converter ensuring power factor 1 on the power supply. High hoisting speed at the light load operation and empty hook: The maximum hoisting speed is determined by the load measurement system ensuring a constant power utilisation of the motor (field weakening). Over-speed protection as well as continuous checking of the correct hoist speed by an encoder ensure safe operations whatever the load.